January 13, 2017 in Tips. 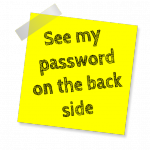 Is it worth hashing passwords on the client side? https security – should password be hashed server-side or client-side? Why is client-side hashing of a password so uncommon? March 3, 2014 in Tips. Here is a small snippet to illustrate how you can perform a conditional HTTP 301 redirection in DWScript, and can serve as an illustration on serving “special” HTTP responses. This is useful when a website is moved from one domain to another, but the server is not, ie. if both old and new domains are hosted by the same server. All hail the “const” parameters!